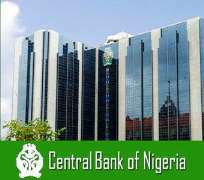 The Central Bank of Nigeria (CBN ) has reinstated the nine banks that were recently suspended from the foreign exchange market. They were suspended last week for failing to remit about$ 2.3 billion funds of the Nigerian National Petroleum Corporation (NNPC) to the Treasury Single Account (TSA) of the federal government. The CBN Director of Banking Supervision, Mrs. Tokunbo Martins, who announced the reinstatement in Abuja , Wednesday, explained that the apex bank took the decision after the banks presented repayments plans.